Agnès Varda, the trailblazing filmmaker who helped define French New Wave, has died. As Variety reports, her family confirmed her Friday death from breast cancer in a statement, saying the “joyful feminist” and “passionate artist” was “surrounded by her family and friends” when she passed. She was 90. Varda was making art up until her death, having presented her latest film, an autobiographical documentary called “Varda by Agnès,” at the Berlin Film Festival just last month. She received the honorary Berlinale Camera award at the festival, adding another trophy to a career that saw her also receive an honorary Oscar and a Governors Award. Her career began with her 1955 feature La Pointe Courte, which many consider to be one of the key forerunners of the subversive, influential French New Wave movement, which favored a documentary style toying with discontinuous editing, long takes, and ambiguity. Varda’s subsequent features only deepened her influence, with Cleo From 5 to 7, Vagabond, and Jane B. by Agnes V. emerging as enduring classics. 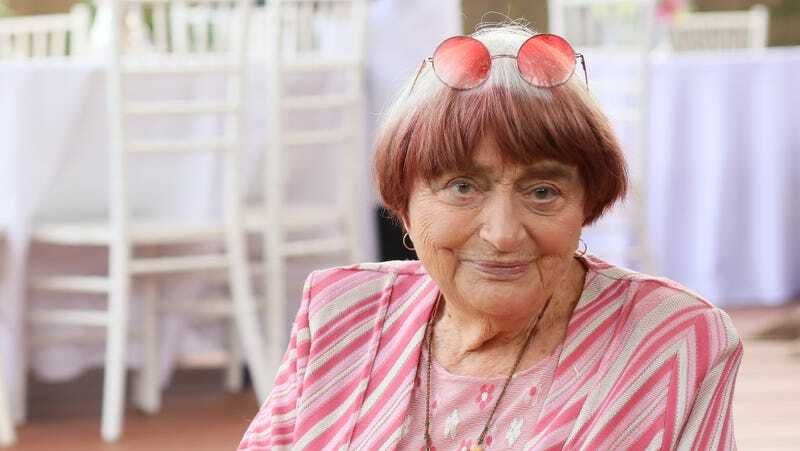 In 2017, Varda was nominated for her first competitive Oscar for Faces Places, a fascinating non-fiction film pairing her with French artist Jean “JR” René that we lauded for its “oodles of charm” and clever, moving dips into the existential. “Mortality—that business of being confronted with what you were and what you aren’t anymore on a daily basis—is funny, but it’s still mortality, and questions of death and the past keep drawing the fanciful cross-country trip back like a current,” goes our review.